Anyone can jump on a plane between Bangkok and Singapore. But to really get a feel for the stunning but often overlooked landscapes and communities that lie between these two world cities, you’ll need to jump on a train. 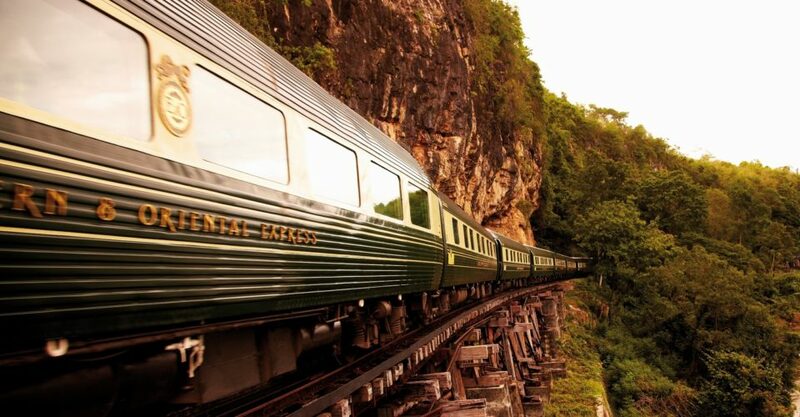 The exquisite Belmond Eastern & Oriental Express has been plying its routes through Singapore, Malaysia and Thailand for some 25 years. In that times, countless passengers have experienced this exclusive journey’s old-world glamour, hard-to-reach destinations, and bespoke hospitality. 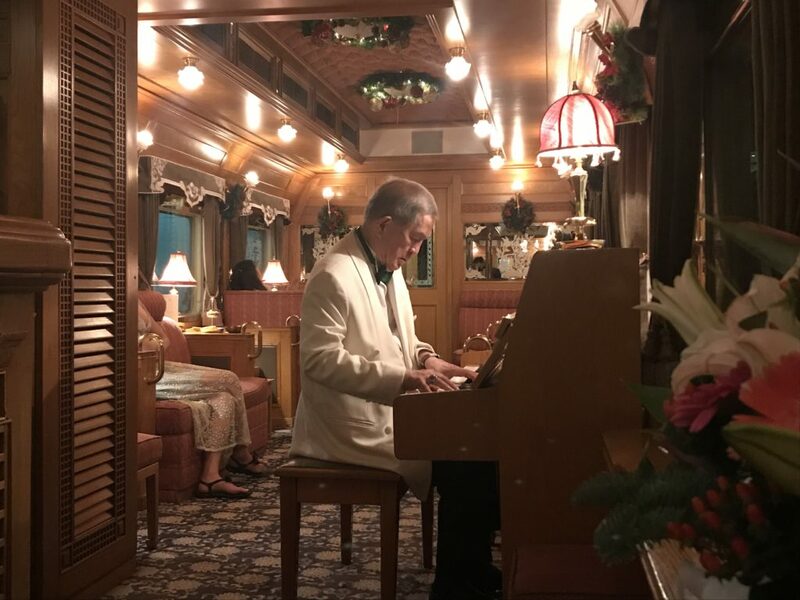 So jump aboard the Belmond Eastern & Oriental Express, and don’t miss these five experiences that’ll transport you back to the golden age of train travel. The Belmond Eastern & Oriental Express is certainly not your average train, so don’t expect a boring, clinical cabin with basic sleeper beds and cheap furnishings. There are three cabin categories onboard – the cozy State Cabins, the comfortable Pullman Cabins, and the spacious Presidential Cabins. The main differences are the size and bedding arrangements. State Cabins come with two bunk beds, while Pullman and Presidential cabins come with twin beds arranged side by side (Presidentials also get a separate seating area). During the day, the cabin offers plush seating for relax on; by night, your cabin steward performs a turndown service which converts the sofas into beds. Whichever cabin you choose you’re in for a luxe experience. All feature private ensuites stocked with Panpuri amenities from Thailand, come dressed in beautiful inlaid wood panels and thai silk upholstery and drapery, and feature classic lighting fixtures and postcard views of the landscapes sweeping by. But this is the 21stcentury, so each cabin has also been fitted out with plenty of charging ports (including USBs) and WiFi. Thai hospitality seeps into the experience in the form of your attentive, experienced cabin steward. My steward, Monty, has been with the train for 25 years, and had some interesting stories to share! 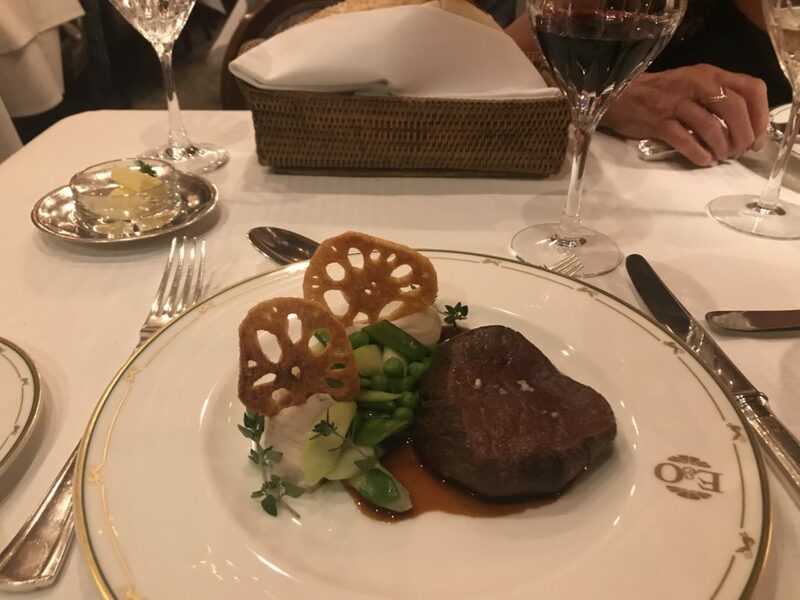 The food aboard the Belmond Eastern & Oriental Express is whipped up in tiny galley kitchens, but even so, chef Yannis Martineau and his team do a fantastic job. 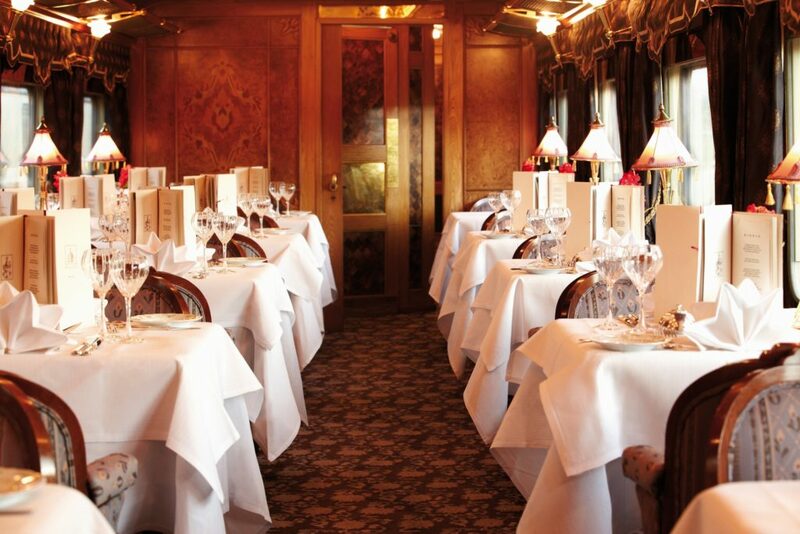 Lunch and dinner are lavish three-course affairs served in one of several dining cars. 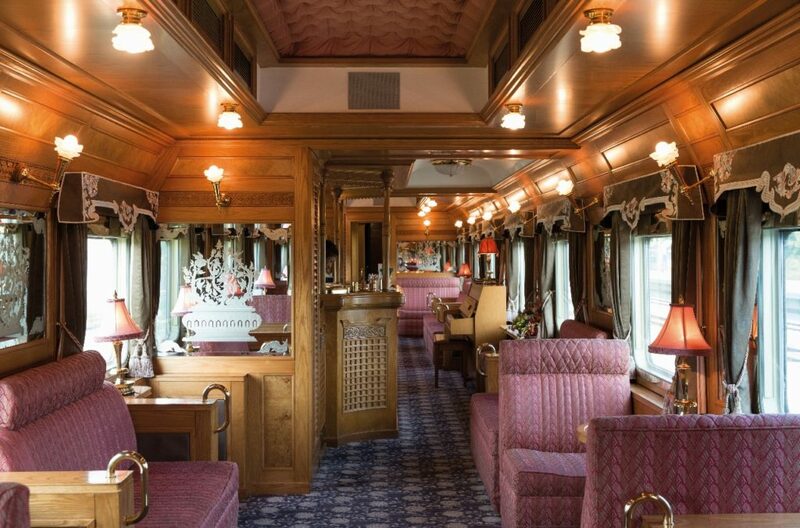 You’ll be assigned a different car and seat for each meal service — the Belmond Eastern & Oriental Express likes to encourage mingling and conversation amongst its well-travelled guests. You’ll feast on Asian-inspired dishes — think dim sum starters or massaman lamb mains — accompanied by free-flow wines. In case you were wondering, the train offers a complimentary selection of drinks throughout the journey, as well as a list of premium wines, spirits and cocktails that are available at extra cost. You’ll want to dress up for dinner. Guests deck themselves out as elegantly as the restaurant cars themselves — gents sport jackets, while ladies don cocktail dresses and jewelry. Each morning, breakfast is served in your cabin by your cabin steward, at a time you request, and features baked goods, fruits, a tropical juice and — of course — tea or coffee. In case you get peckish between the hefty lunches and dinners, you can also choose to take a light afternoon tea in your cabin, which includes a few sweets and savouries, and a selection of BOH teas from Malaysia’s Cameron Highlands. Before you board, you’ll want to make peace with the fact that you will, most likely, gain a few pounds by the end of your trip. Yes, really. You’ll probably spend most of your time on the train hanging out in your cabin or taking in the sights and fresh air in the open observation car. But in case you were after a little pampering, the Belmond Eastern & Oriental Express has its very own masseuse on board. You’ll want to head to the boutique in the Saloon Car to book a slot. 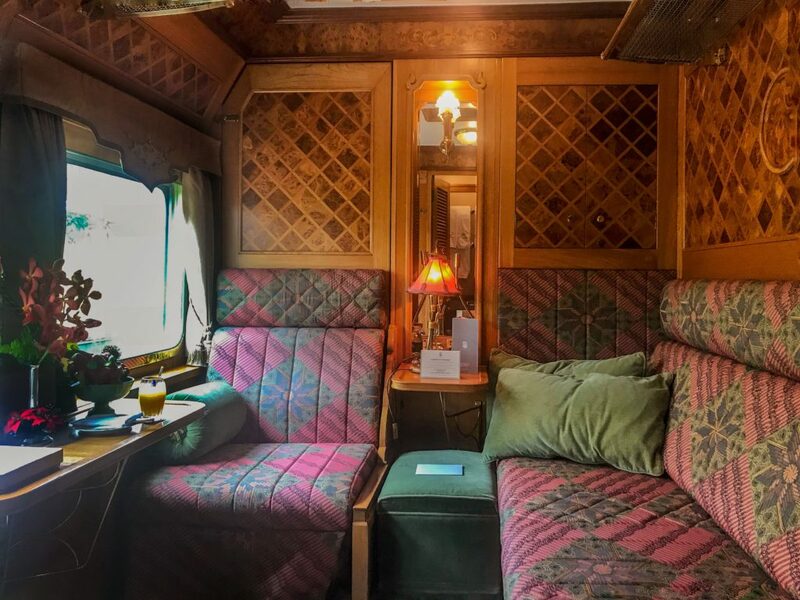 When the time arrives, you’ll slip into the quiet, soothing surrounds of the Saloon Car’s Reading Room to spend an hour flipping through magazines (or perhaps the heftier books) while your feet are treated to a soothing Thai foot massage. You’ll be lulled into such a state of relaxed serenity, you’ll probably head straight back to your cabin for a snooze when you’re done. The Piano Bar by night. It’s a thoroughly convivial affair where guests chat, laugh — and if you’re lucky, indulge in the occasional group sing along! For a bit of cultural immersion, you’ll also catch some Thai dance performances in the Piano Bar on some nights. You didn’t think a trip aboard the Belmond Eastern & Oriental Express was just about the train, did you? 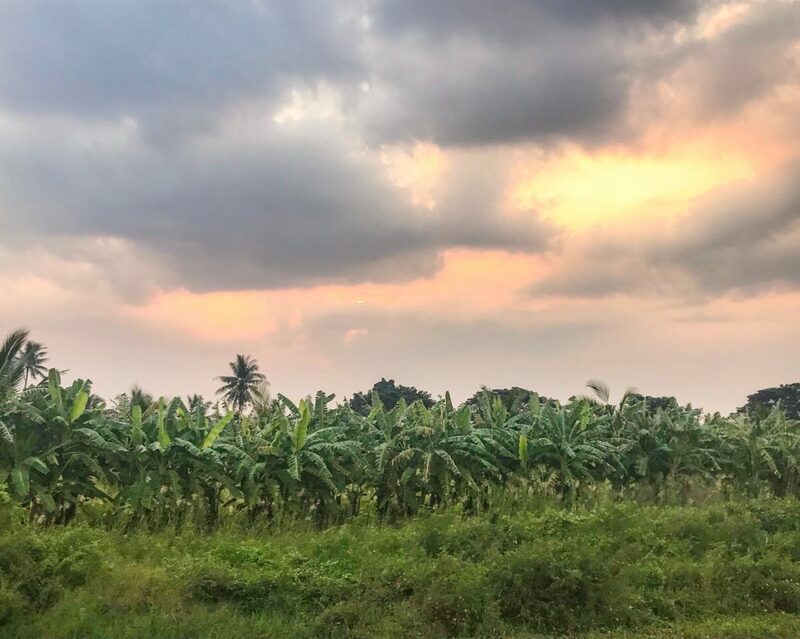 The train cruises through some of the most scenic and historical parts of Southeast Asia, so to do it justice, guests are offered a number of excursions. 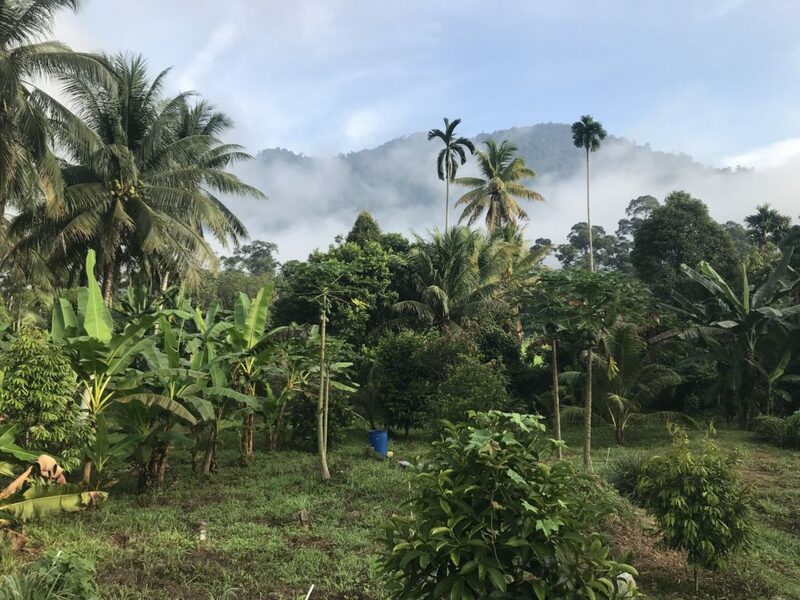 I did the three-day/two-night trip, and was offered a choice of excursions — one in Malaysia, at Kuala Kangsar, and another in Kanchanaburi, a smaller Thai city northwest of Bangkok. Instead of hiking through the dense vegetation, I chose the easy option at Kuala Kangsar. There was a quick visit to a rubber plantation to see the area’s main source of income, an easy walk which offered stunning views of the lush green landscape dramatically covered with mist and cloud, and finally, a visit to the village of Labu Kubong where we could explore local snacks, culture and crafts. Over in Kanchanaburi, our train stopped on the notorious Bridge over the River Kwai. Some chose a cycling excursion; others indulged their foodie side in a cooking class. Like many others, I took the classic tour that started with a history lesson as we floated down the river, moved on to the Thailand-Burma Railway Centre for a thoroughly informative — and poignant — museum visit, and finished with a poignant stop at the Kanchanaburi War Cemetery. Note: The author traveled as a guest of the Belmond Eastern & Oriental Express.